Yes, I use acrylic color water based. It is easily remove, if you miss, you can use your nail to scratch it out. 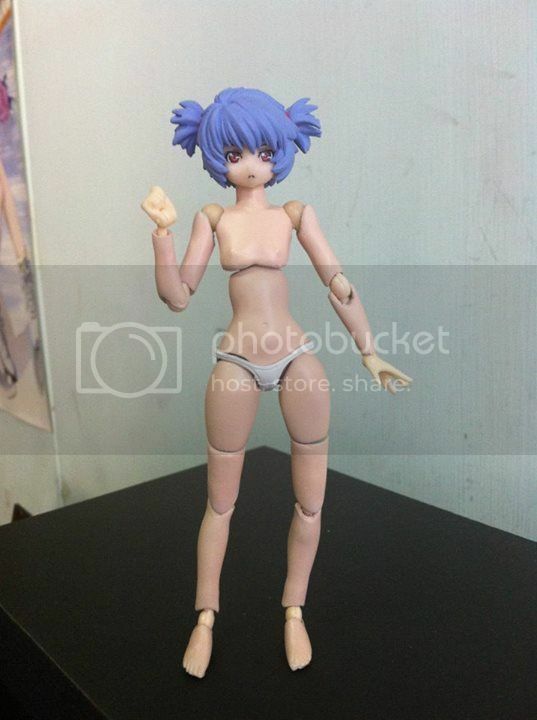 After I learned about how to cast resin, I saw that many Japanese Modeler made their own 1/12 naked body action figure to custom with Figma and Busou Shinki and as everyone know that mms naked are very rare and high price, so I design to make my own for my shinki. 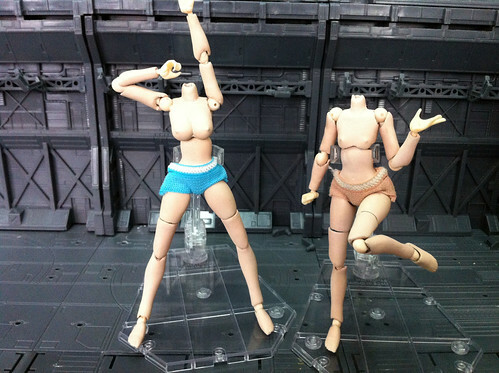 I test 2 type of hip joints with revoltech type and ball joint. 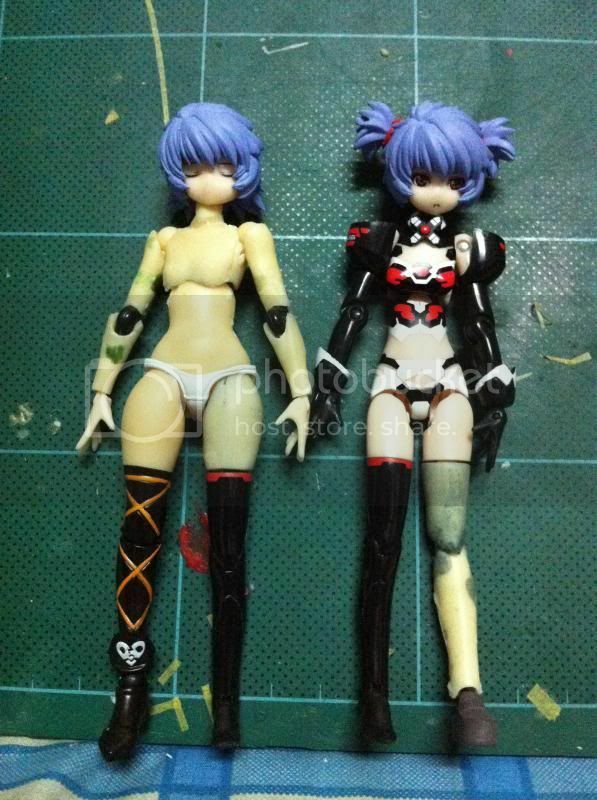 I prefer revoltech type, it is easy to replace and moving, then I design to buy ball joint that look like revoltech but without gear in side from Taobao (china). 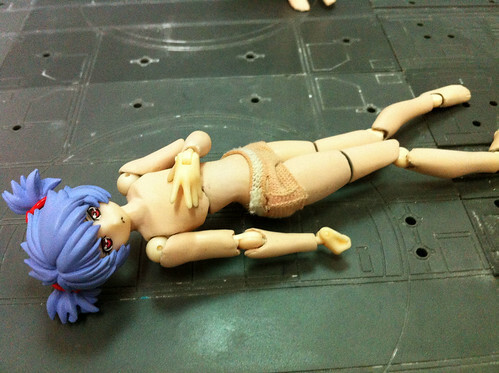 Test with Figma Fate. 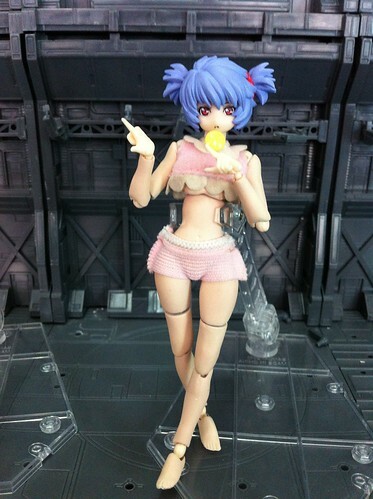 Too high for children Figma, but for Busou Shinki, it fit perfectly. 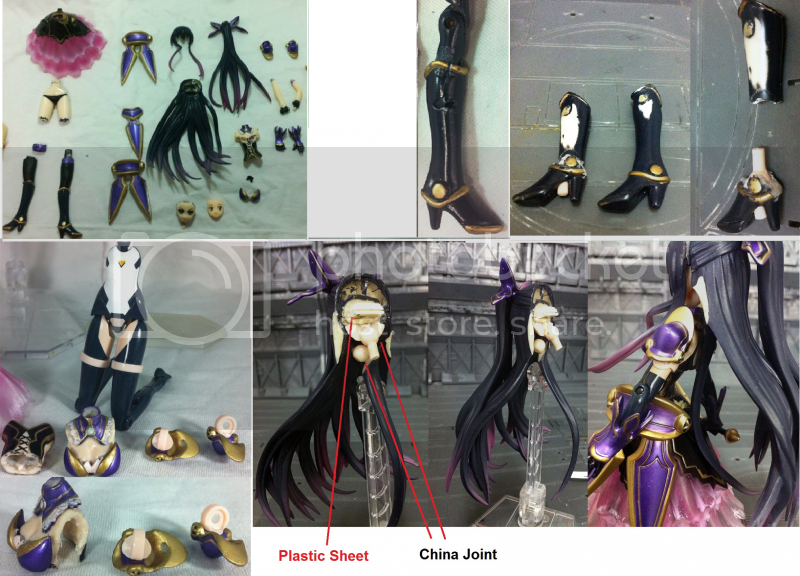 Then I made tall one by using Revoltech Queen’s blade Alleyne body and Figma Aya (morning coffee) to made mold. It had the problem about the durable of color, so I got 2K flat clear color from my friend to coating. 2K color is color for car, so it can protect color from normal scratch. Test with Revoltech. 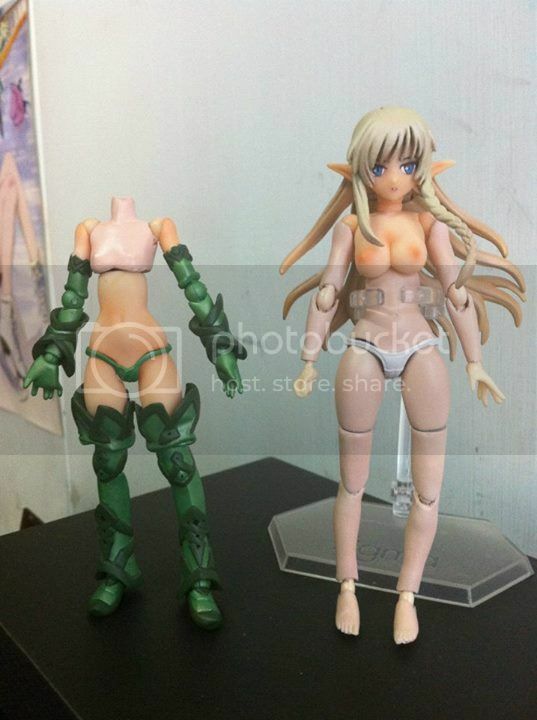 Revoltech has another color tone, may be I will make special color for them later. Now I have 3 Tall and 3 Small body, next I will try to sewing some clothes. Last but not least, MS Girl (LOL). 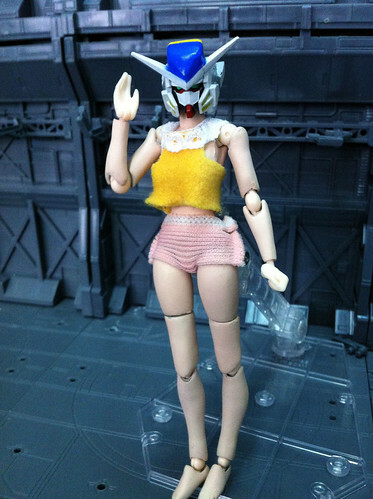 Re: bang04's Collection Update: New Dress from Sticker? I had go to bookstore in my home town to buy some book and then I see something. 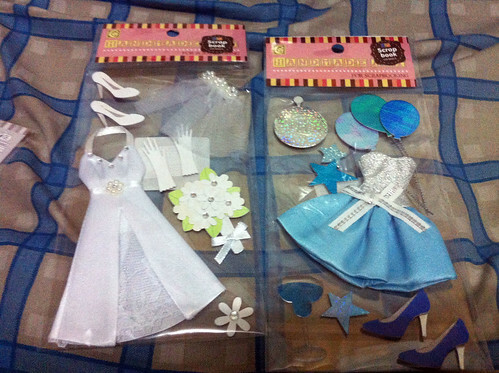 It is sticker for postcard decoration, that has 1/12 scale dress as decoration sticker. I buy 3 of them back home to test with shiki. 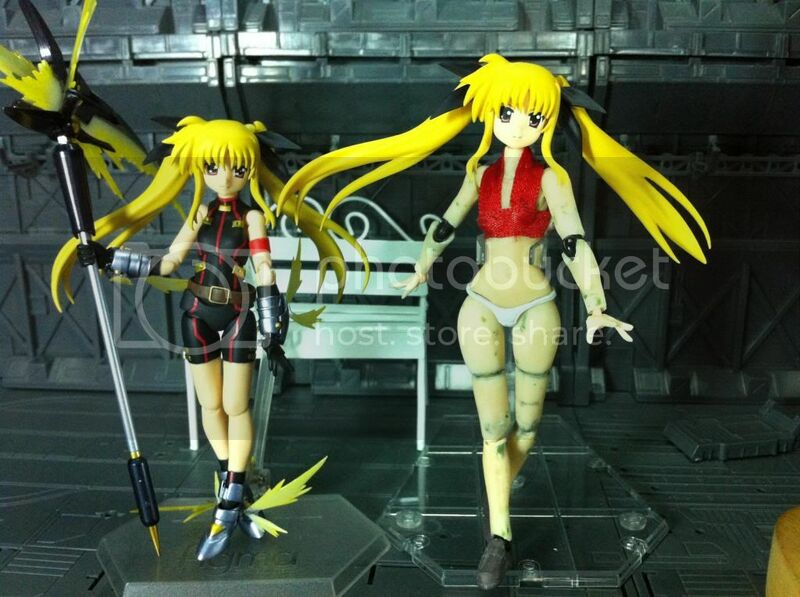 It can put on shinki but not fit, so I sew to reshape it to fit with shinki. 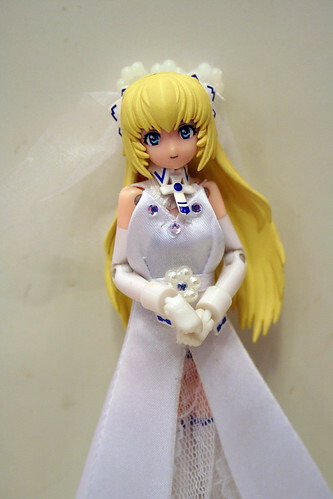 The white wedding dress for Renchan (but if any one ask for her, he will be head shot). 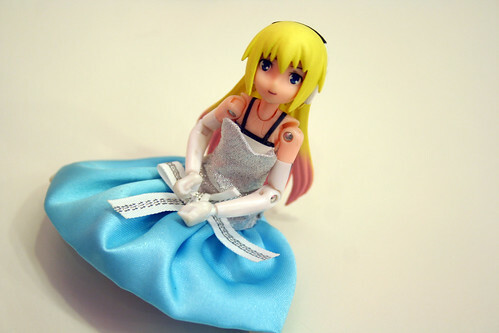 The blue party dress is cute but it need something, may be some cute . 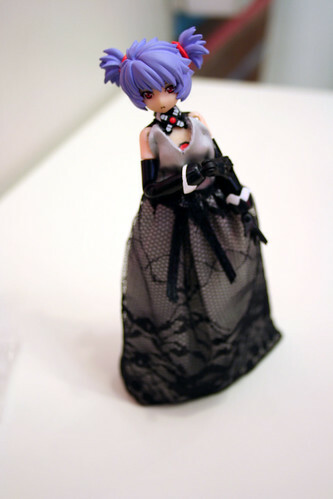 The Black dress is a little too big for small shinki but it is fit for tall one. This dresses is about 2$ and need some sewing skill to reshape. With a little bit of needlework, they're practically made for 1/12 scale figures. Then again, the bookstores in Thailand nowadays are closer to one-stop stationery stores. They've got everything from books (duh) to drafting tables. I really like the work on the bodies. 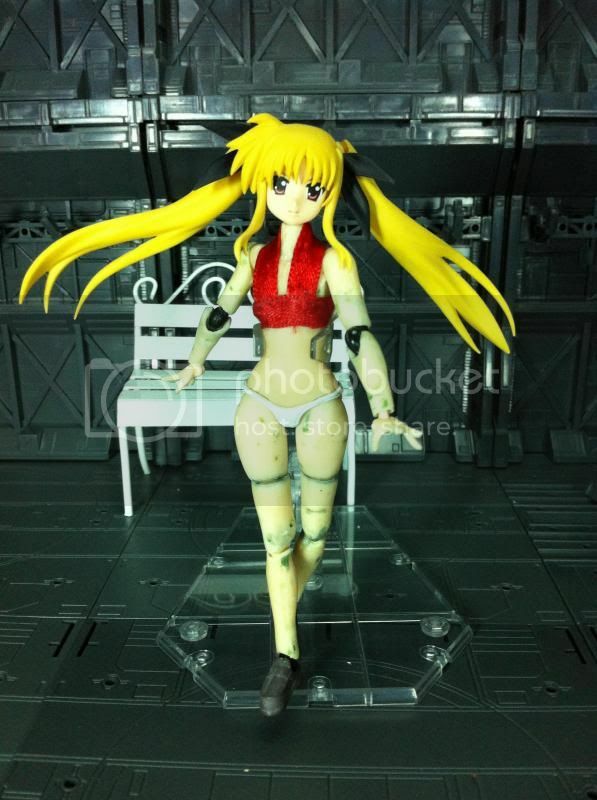 The only thing I'd change is to slightly lengthen and slenderize the wrists so they look more natural when using Shinki hands. Long time no see everyone, here is my latest custom Shinki. 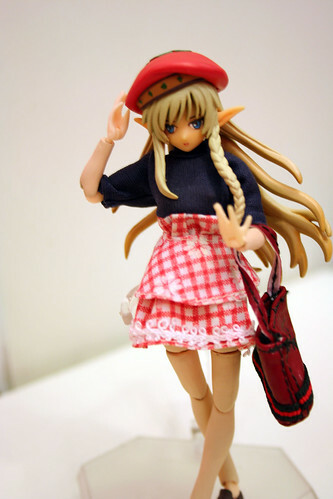 Although I used MMS body as base, but with her long skirt, she can’t move leg freely. 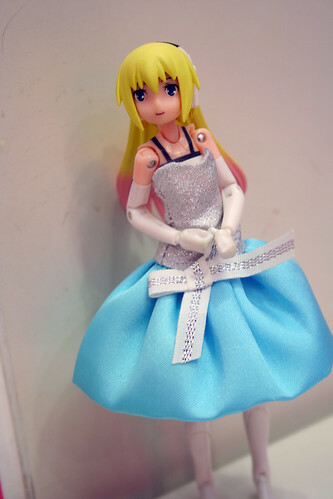 I still have a plan to change her clear skirt with clear plastic clothes, but I can’t find the appropriate one. Amazing work!!! She looks fantastic, the work on her armour looks especially amazing!